At the helm of Hurley Hospitality Creative, Matthew Hurley is a professional manager with more than 30 years of experience in hospitality and tourism; 28 years in general management and more than a decade for multi-outlet companies across a range of business from small to large and from highly successful to those in need of major restructuring and change of direction. Mr Hurley’s resume is impressive and results driven with positive outcomes built on establishing strategic business and marketing plans that are holistic but to the point. Geographically, Mr Hurley has acquired nationwide experience in both metropolitan cities and remote regions, having managed tourism businesses in Adelaide, Perth, Canberra, Melbourne, Sydney, Brisbane, Cairns and Port Douglas. According to Mr Hurley, his new consultancy will offer Australia wide services across a range of industry expertise including Management Planning, Asset Management, Feasibilities, Marketing and Social Media Planning and Training. Career highlights include winning General Manager of the Year twice within Rydges Hotels and Resorts, Australian Hotels Association’s Best Marketed Hotel in Australia and numerous other awards. In his tenure with Rydges he planned and opened two successful hotels and oversaw the refurbishment of many, including the iconic Wentworth in Sydney in the lead up to the Sydney 2000 Olympics. Mr Hurley brings an experienced edge to his consultancy having successfully worked across the corporate, conference and leisure markets both in domestic and international locations and has experience Japanese and Chinese markets. “I always try to lead the way in terms of change by establishing mechanisms for sales and marketing to best use new technologies as they appear. “Social media plays a major role in current marketing and drives a large percentage of the brand awareness and direct bookings,” Mr Hurley said. Mr Hurley has proactively fostered a broad range of community and government partnerships. “It has always been an integral part of my working life to enhance relationships with key stakeholders and the community that provide dual benefits,” he said. 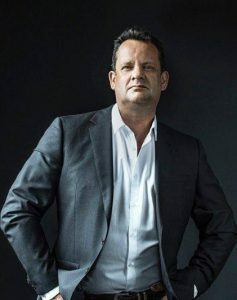 He has served as Chairman of the Port Douglas Daintree Tourism Association, Chairman of the Accommodation Division of the Western Australian Hotels Association and was a member of the Advisory Board for AFL Cape York House Cairns.